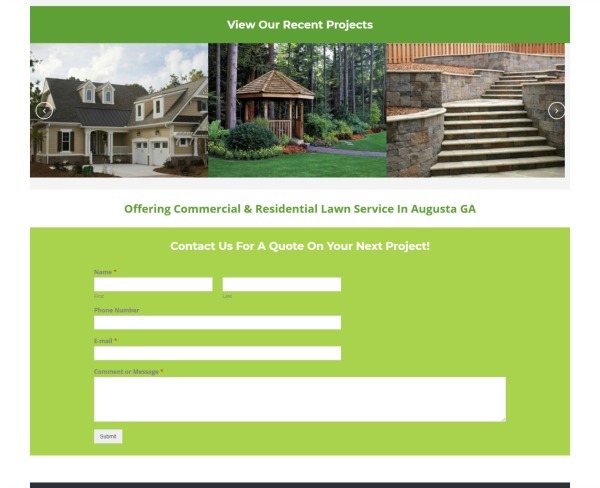 AS one of the oldest landscaping contractors in the Augusta area, Robert Forman Lawn Service had a long history…except on the internet. After 26 years in business, they decided it was time for a website! We were glad they choose us to say the least. One of the toughest things about getting a website is taking the first step, that’s where we make it easy. After a few interview style meetings, we had plenty of content to lay the groundwork for the detailed website you see here. 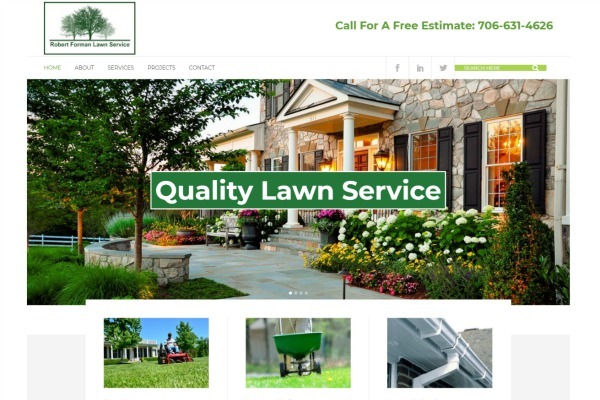 Getting found online in a competitive niche like Lawn Care can be a challenge for many business owners, but our focused content is aimed at driving business to their website. First we research the local competitors, then we craft a plan to rise above them in search results. For most business owners its easy to talk about their business and what they do…..but sit down to write it out and that is a different story! Our crew makes its easy to get online, we drafted and created all the website content, from the first word to the last head shot. 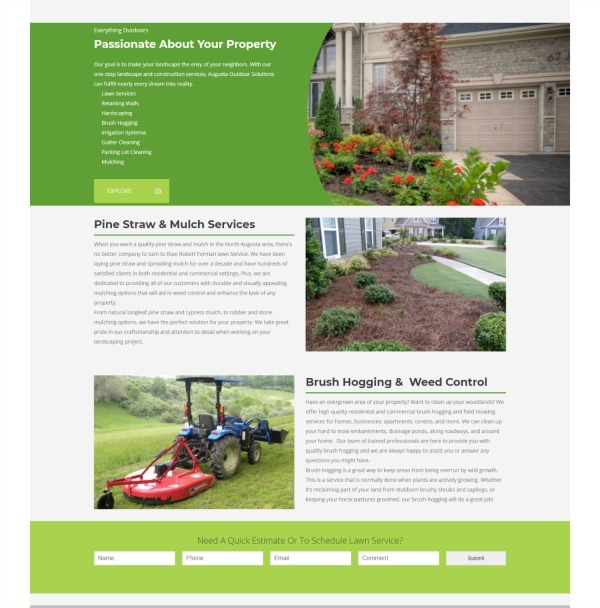 The focus of the website is to generate new landscaping clients in the Augusta, GA area. Building a digital presence targeted on multiple cities will make the phone ring.